At this time of year, as much as we enjoy all the hustle and bustle, the shopping, and the parties, what we look forward to most is the time we spend at home with family. Along with the holiday decorating, this is also a perfect time to look around your house to see what you can do to make it even more inviting as you prepare for the inevitable guests who come to call. Indoors or out, you can create a space to fit your individual style. 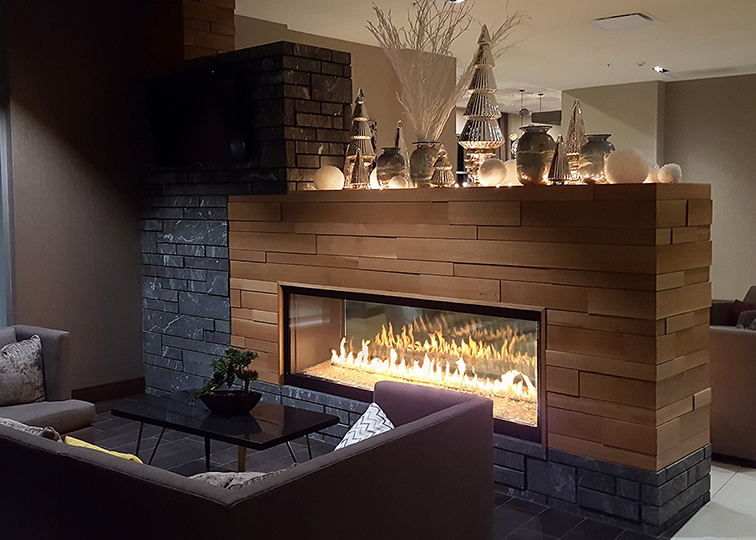 Nothing creates a better ambiance for the holidays than a warm fire. As a leading supplier of garage doors, outdoor living and fireplaces and with over 150 years of combined industry experience, the team at Trinity Fireside can help create the perfect place to make those cozy family memories in your home. “I struggle to find fonder memories than being at my parents’ home, family gathered in the living room with the warm glow of the fireplace as our backdrop – and perhaps a good football game,” says Chris Tucknies, VP of Operations at Trinity. Fireplaces today have become works of art, with designs to fit every décor. Wood burning or gas, with traditional masonry or contemporary lines and glass media, Trinity will work with you to “help you discover your perfect flame.” They offer contemporary features, including the ability to coordinate the control panel through your own home automation system and operate it through your smart phone or LED embers and accent lighting that allow you to set the mood even without the fire. 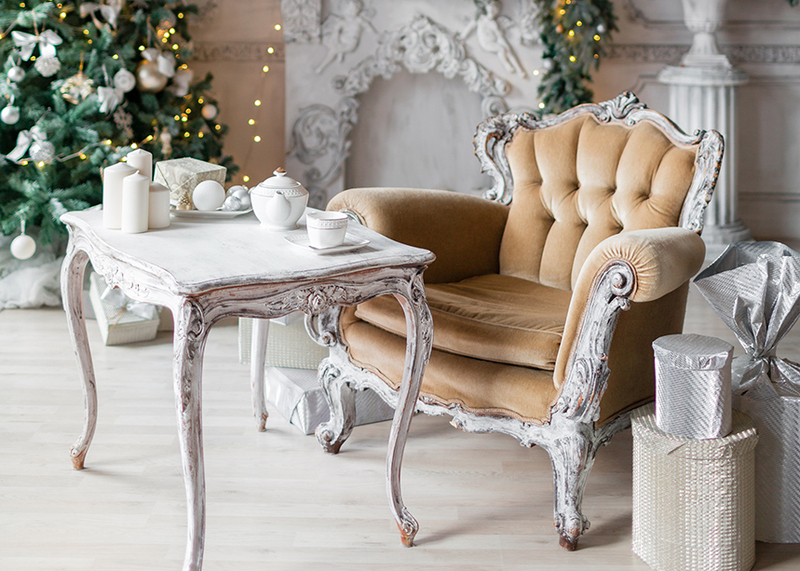 Grab your hot cocoa and just relax! Where does everyone end up congregating at your house? For most of us, it’s in the kitchen. The kitchen is the heart of the home, and Mark Pritchard of Ed Kellum and Son says these days it’s often the “showplace of the home” as well. “People want premium products because they look really, really good; work really, really well; and consequently, the food tastes really good, too,” Mark says. Ed Kellum and Son offers premium appliances for the at-home chefs or for those who just want it to look good even if they’re not using it. As the holidays approach, Mark says ovens are especially popular. The newest trend is steam ovens. “Steam is a better transducer of heat,” Mark explains, so these ovens add vaporized steam to cook more evenly and quicker. “You can throw in something frozen and defrost it properly or bake a turkey in half the time – and it’s more moist. It’s great for baked potatoes, too,” he shares. 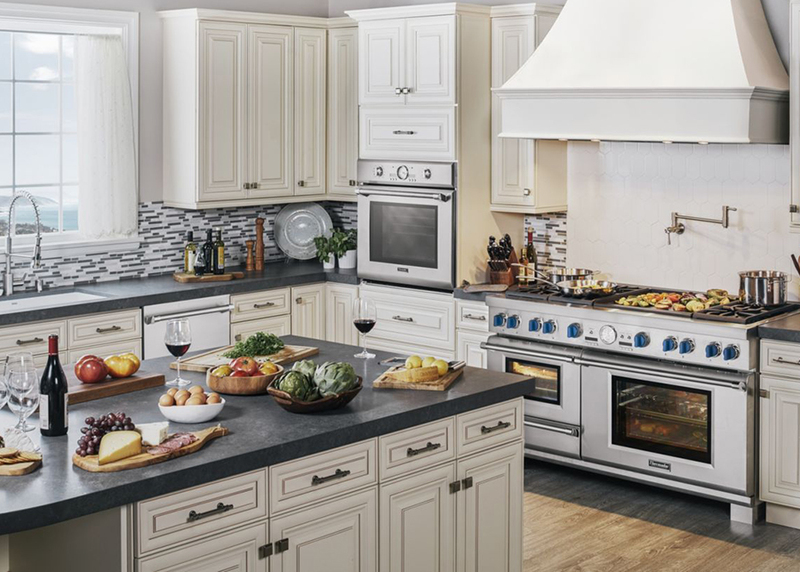 The 48-inch range-tops right in the center of the kitchen can bring the family together. “Everyone can be involved in the process,” Mark says. Someone can be cooking pancakes on the griddle while someone else has the eggs going on the burner. When it’s time to clean up, whether after the family breakfast or the holiday party, Ed Kellum and Son even has dishwashers that will do five loads back-to-back, and it only takes 25 minutes per load. Clean-up can be the biggest down-side to entertaining, but the dishwashers today make it far less painful. Some even have a special cycle for high-quality stemware that won’t affect the glass or the taste of the wine. Whether it’s a built-in refrigerator, some of the newer built-in coffee products, or any of the other high-end appliances you’re purchasing, you can be assured Ed Kellum will make sure to find the right products for you. “Our goal at the end of the day is to make sure we know why you want to buy and then make sure you know how to use what you get.” Since it’s founding in 1948, this family-owned business has been committed to making sure they get to know their customers. Even those who aren’t home chefs can appreciate the aesthetic and financial value for their home, and everyone can appreciate having a place family and friends want to hang out together. 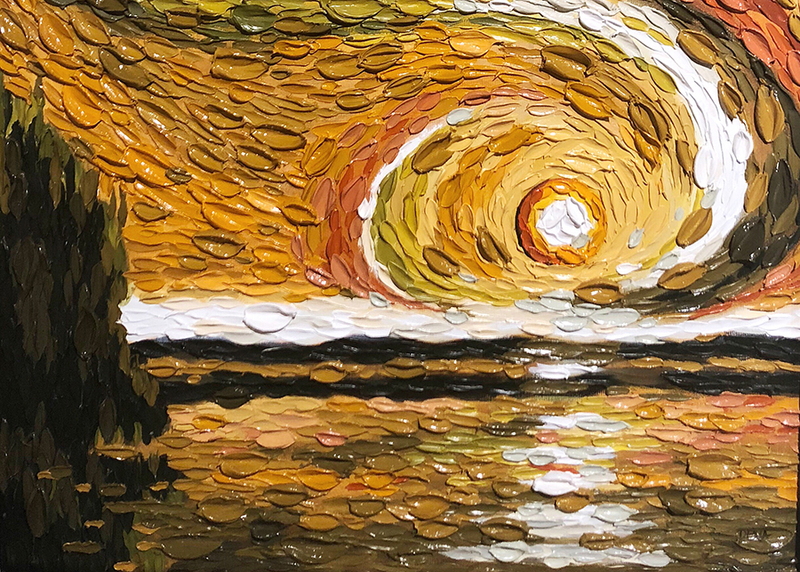 The Artists’ Showplace features an extensive collection of original artwork including sculpture, woodwork, jewelry and paintings for those who appreciate the more classical and traditional artwork or contemporary and abstract. Customers can find a small piece for a little niche or a large canvas to make a statement in the room. Terry also reminds us at this time of year that art can make a very personal gift. Stroll through their 12,000 square-foot space to find the perfect piece for that special someone. Or maybe someone on your list has that creative spark. Terry suggests, “Art classes are great gifts, too. Because they inspire long-term creativity, they really are gifts that keep on giving.” The gallery offers gift certificates for those who want to select artwork or a specific class on their own. 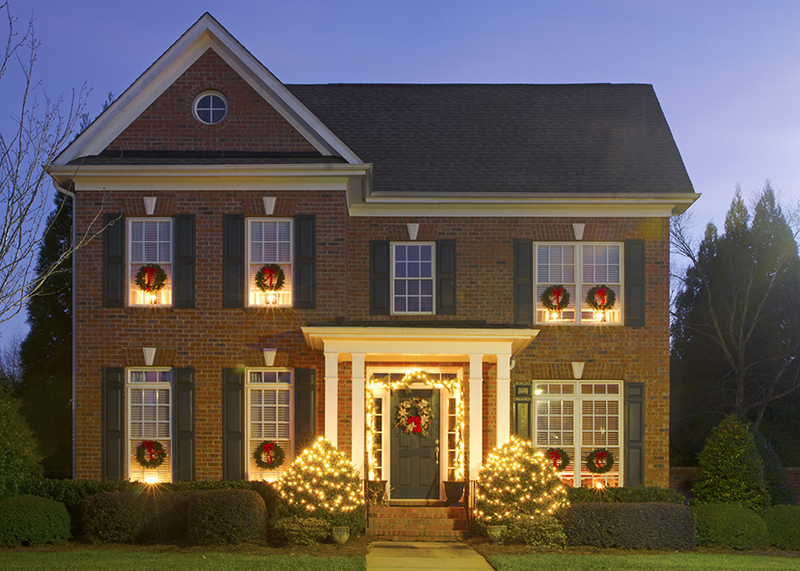 Is your roof ready for Santa’s sleigh? Can it sustain the weight of thousands of gifts, eight prancing reindeer and the jolly old elf himself? If you live in North Texas and experienced any of the hailstorms earlier this year, you may want to have DMS Construction come take a look. If their inspection shows that you, indeed, need a new roof, you’ll be assigned a dedicated project manager to explain the estimate, take you through the process of selecting materials and having them delivered, assist in completing any paperwork, and answer any questions you may have along the way. Choosing someone to work on your home is always a concern, but you can put your mind at rest knowing the installers at DMS have been with the company for 10+ years. The company is licensed, insured and bonded and has an A+ rating with the Better Business Bureau. Everyone has so much going at this time of year, so let them handle it for you.